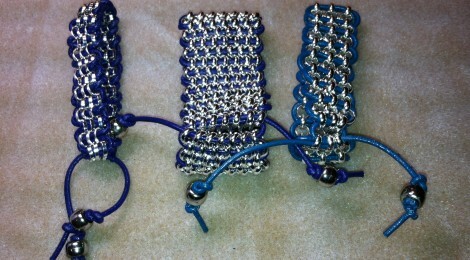 Here’s a contemporary twist on a traditional chain bracelet. These use multiple lengths of chain connected by leather cord. Once you learn these easy techniques, you can customize your bracelet by changing the number of chains and the color of cord. 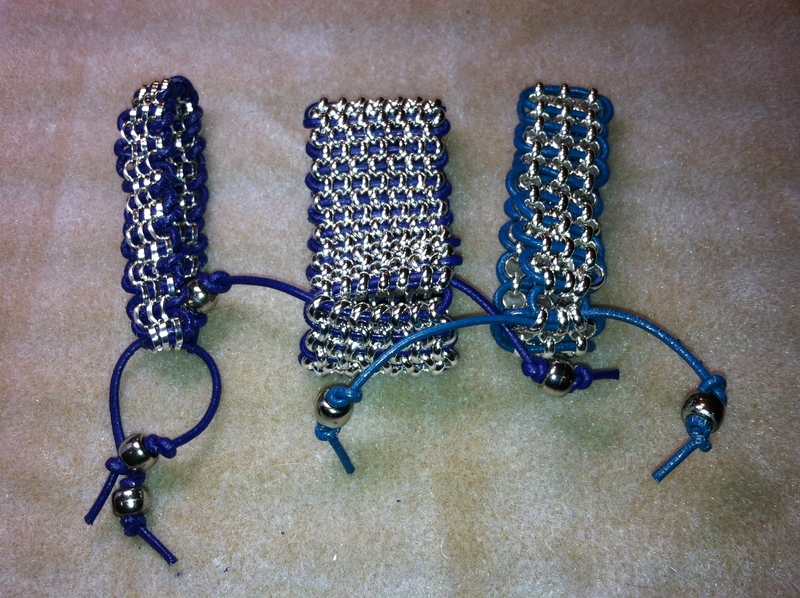 Students may choose one of two weaves for this class – the Herringbone weave is the left and middle bracelets above; the Afterburn weave is on the right. 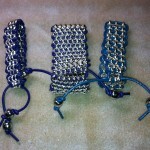 Both bracelets require the same materials. Bring: 7mm rolo chain, enough for the finished length of your bracelet multiplied by the number of chain widths you like ( a 7" bracelet that is four chains wide requires 28" of chain); 2mm leather cord - the Herringbone weave uses twice the amount as the Afterburn weave (a 7-strand herringbone requires 14' of cord; a 3-strand afterburn requires 6' of cord; buy more or less to suit your project); an even number of beads for the cord ends, minimum of two (make sure the hole is big enough for the cord); wire cutters, chain nose pliers (some will be available).